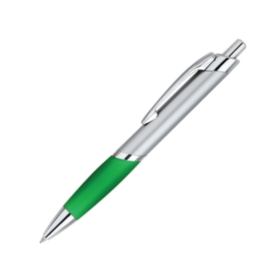 Plastic made pen in silver sprayed barrel and metal clip. 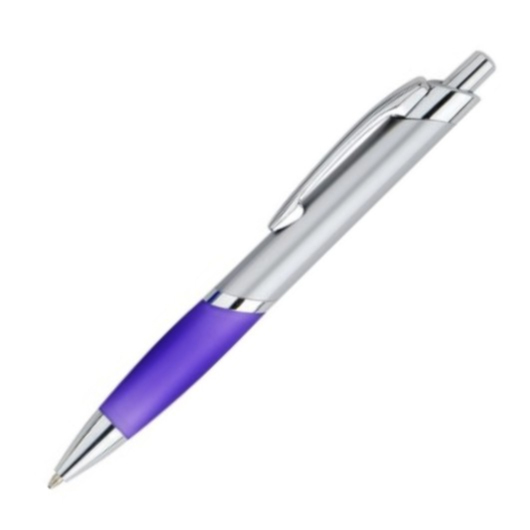 A classic smart trick  always carry your pen! 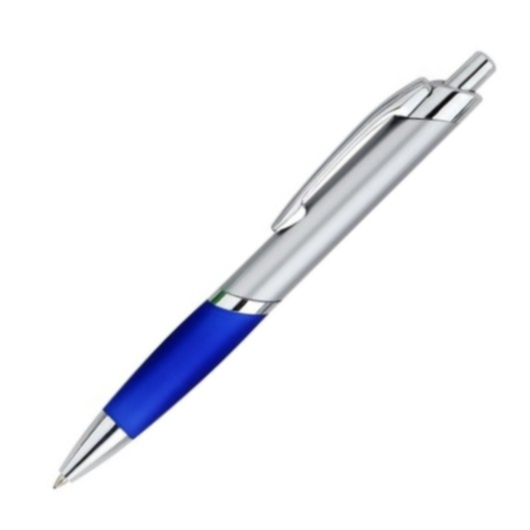 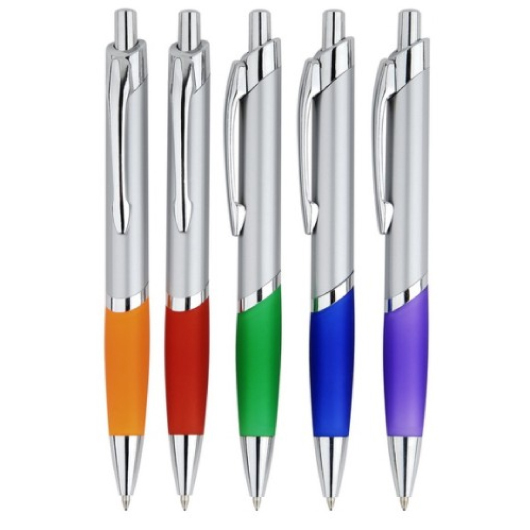 These plastic pens feature a silver sprayed barrel that comes with shiny chrome trims and rubber grip in a range of colours. They are super easy to use courtesy of their click action mechanism and easy to carry and store in place made possible by their metal clip. 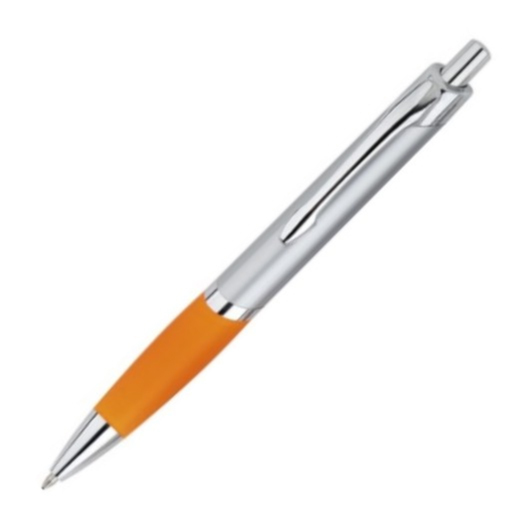 These pens are supplied with 1.0 mm black refill.